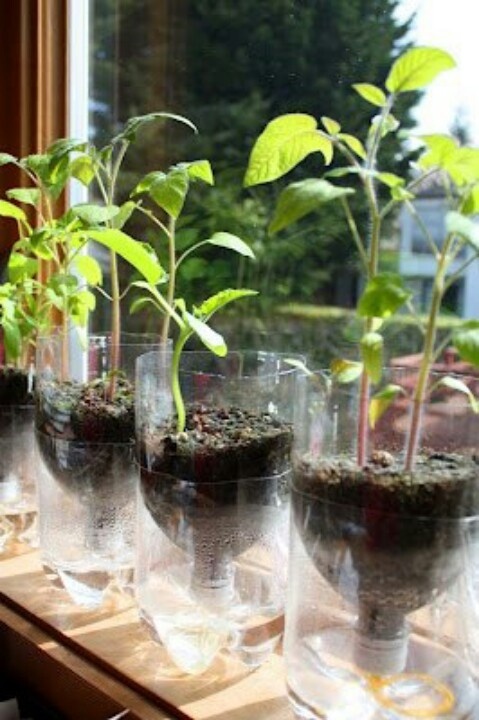 If you're into gardening and you want to find ways to recycle those stuff like old plastic bottles gathering dusts in your kitchen , then I think this is a cool way to start. I'm sure you have tons of Coca Cola bottles at home, why not make use of those as starter pots for your plants like the one shown above. I've also seen some from other gardeners where they use to paint those plastic bottles in one color and arrange those neatly in rows.